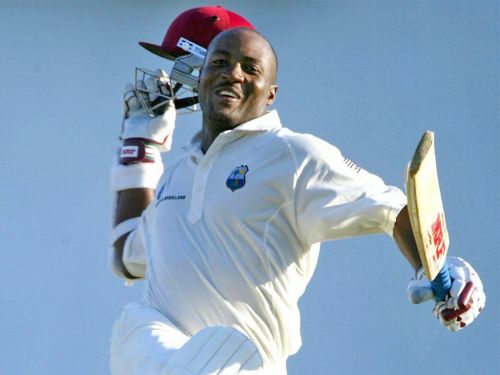 Brian Lara: From playing with 'lime' to basking in the limelight! Lara was the best batsman to have come out of the Caribbean islands during the 90s. Former West Indian great Brian Lara has opened up on how his cricketing journey began. Lara stated that his father had a big influence on him during his childhood and his father’s craze for cricket was one of the main reasons he started playing cricket. Brian Lara is one of the best batsmen to have played the game. The stylish left-hander has accumulated 11,953 Test runs at an average of 52.88 and 10,405 in one-day internationals at 40.48. He also holds the record for the highest individual score in Test cricket (400 not out) and first-class cricket (501 not out). He has played many memorable knocks over the years and is pitted alongside Sachin Tendulkar as one of the best batsmen to have graced the game during the 90s. Speaking to the ICC, Lara said, “I come from a very big family, six boys. My brother Junior shaved a cricket bat out of a coconut branch when I was only four years old. We played cricket with anything we put our hands on – a hard orange, a lime, a marble – anything we could use in the backyard or in the streets. " Lara also said that although he played various sports including football in the wet season, cricket in the dry season and table tennis during his childhood days, his father made him pursue cricket over other sports. Lara was highly appreciative of his father’s influence during his childhood. Lara said, "My dad loved cricket and ran a cricket league in our village. He made sure he gave me everything, he sacrificed what he had to, to make sure I had what I needed to perform at the best level." Stats don't lie: Sachin Tendulkar or Brian Lara - Who is the greatest? Is 153 not out the new benchmark of gutsy fourth innings defiance?